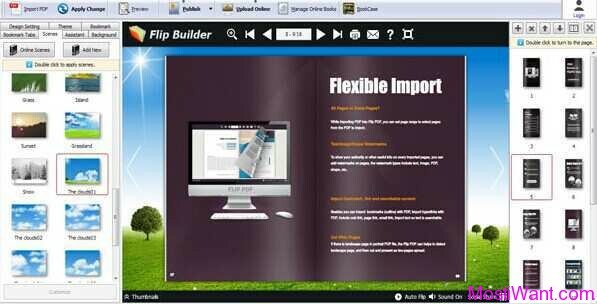 If you followed our giveaway articles, you would be remembered with our previous giveaway contest of Picture Collage Maker Pro. CollageIt is a quite similar software from the same developer that enables you to create good-looking photo collage automatically without a lot of hassle. If you’ve ever tried to create a photo collage in Photoshop, you’ll find how time-consuming it could be. Unlike Photoshop and many other photography software, CollageIt is very easy-to-use which will take only three steps to make your very own stunning photo collage: add photo, set parameters and generate collage preview, save collage as image format , such as BMP, JPEG, PNG, TGA, and GIF. No matter the green hand or the old hand with image processing software, CollageIt will help you make a gorgeous collage by few clicks and within few seconds. And while the program is indeed very easy to use, it doesn’t mean that the results suffer in terms of quality! 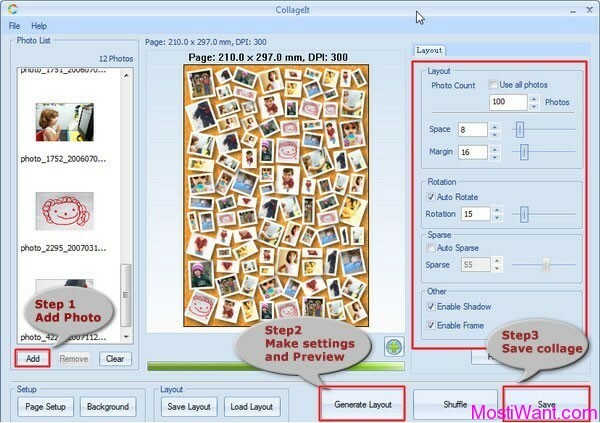 Generate collage in an automatic way – Click “Generate Preview” button, CollageIt will create photo collage automatically according to the added photos and parameters without any manual adjustment. Easy-to-Use – Easy enough for users of all experience levels to use. Pretty collage will be made by just few mouse clicks. Just 3 steps required – Just 3 steps to make a collage: add photos-> set parameters and generate preview->save collage as image file. Provide enhanced features and functionality to create diverse types of collage – Support creating collage with few photos to 100 photos. The “Auto rotation mode” and “Sparse mode” make the collage more varied. Realtime preview, super speed – Preview the final collage in one second. While CollageIt is available for free for personal use, the free version comes with a splash screen, CollageIt watermark, limited collages size, and inactivated crop photo features. 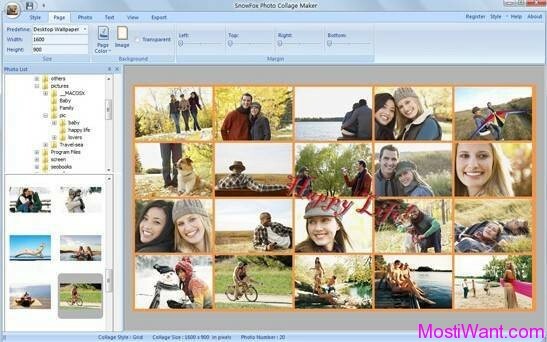 To remove these limitations, users should upgrade to CollageIt Pro, which is priced at $19.9. You have a very good website, offers are very attractive. Hope to get a license of collageit. I like such kind of apps. I’ve been wanting something like this! I’m dying for something like this since my friend showed me photoscape for windows! it is available freely on tipradar.com . Please count me my friend! Please count me in. Good Luck. very good software. love to get one. nice giveaway, please count me in. thank you. great giveaway .. please count me in……. Very nice application. Thanks for this giveaway. Excellent, a very nice opportunity. @william, Great giveaway. Thanks. Pls do NOT count me in.